Subtitle: Even though Rita officially weakened and did not cause the level of damage originally feared, she joined with Katrina and Ophelia in advancing the coming dictatorship in this country. The Federal government is very much stronger than before these three hurricanes hit -- additionally, at least seven other objectives were either met or advanced. In this Part 1, we shall speak to the "Occult Signatures" of Hurricanes Rita, Katrina, and Ophelia. Three powerful hurricanes hitting within the span of a month -- history make look back on these storms as "triple evil sisters", whose impact upon the fabric of American society will be as terrible as anyone can imagine. We shall demonstrate that Hurricanes Katrina, Ophelia and Rita may have done more to doom America's freedoms than most people can ever imagine. We shall begin at the occult headwaters of this entire global plan, from whence all events eventually flow. As we have stated so many times before, all events which occur in private and public originate within an occult, secret society plan to reorganize the world so the Masonic Christ (Antichrist) can arise to take control. Once the world stage is properly set, the final birth pangs war (World War III) will break out between Israel and her Arab neighbors, out of which shall stride Antichrist. This is the Masonic, secret society plan, and it is runs parallel to the many Biblical prophecies telling of the coming of the Antichrist, a coming which will be accompanied with unprecedented deceptions, powers, and abilities. 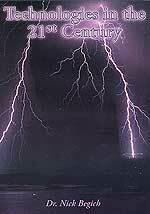 One of the foundation stones upon which Cutting Edge was founded was the understanding that the Plan of the Illuminati to stage their Antichrist fully conforms to the much more ancient Biblical prophecies -- thus making any discerning person realize that the Illuminati is forced by God's prophecies to create a plan which will completely fulfill God's prophetic Word! We simply show you, through current events, how that fulfillment is taking place. Since the Illuminati are pagans in the true sense of Romans 1:25, they worship the creature rather than the Creator. One of the creations they worship is numbers, believing that numbers contain inherent power and that a good plan could fail unless carried out by certain sacred numbers. Read NEWS1756 to completely understand this belief. Simply and succinctly, occultists (pagans) love certain numbers: Satanists believe that a carefully planned event must be carried out according to the correct numbers, or it may not be successful. They go to great lengths to make an event occur according to the correct numbers. As Wescott explains, "... so 11 is the essence of all that is sinful, harmful, and imperfect." [Occult Power of Numbers, p. 100] Thus, while 11 is very important, multiplication's are also important, such as 22, 33, 44, 55, 66, 77, 88, and 99. A "triplication" of a sacred number is also important, such as "333" or "111", communicating the same theme as the 2-digit number, but with "amplification" of power and meaning. To reiterate: "The number '333' speaks of death, resurrection, and ascension." Since the entire global occult scheme plans to produce their Masonic Christ (Biblical Antichrist) who will mimic Jesus' "death, resurrection, and ascension" in fulfillment of Revelation 13:3, these sets of numbers are perfect when you want fellow occultists throughout the world to know that the event which just occurred was created as part of the effort to change the world so their Christ could appear. The Illuminati further believes that "11" is THE number of their Masonic Christ, which is fully compatible with Daniel 7:7-8, which depicts Antichrist as the "11th" horn arising after the original 10 horns. The number "13" is the number depicting extreme rebellion against God's constituted authority. You will see this basic number of rebellion multiplied by 2 or 3 usually, which is why secret society Adept, Adolf Hitler, launched his war in 1939 (3x13). You and I do not think in this manner, but pagan Illuminati surely do, and when an event is carried out by occult numbers, those numbers represent an "Occult Signature" on the event. Therefore, knowledgeable observers can, and should, look at an event to see if it was carried out by any combination of sacred numbers. The type of basic number by which an event is carried out may very well tell you the reason that particular event was carried out. For example, the attacks of 9/11/2001 were just 'covered over' by the number "11", which tells you that the event was staged in order to help set stage for the appearance of Antichrist. Hurricanes Katrina, Ophelia and Rita contained an occult signature. And, very importantly, the time period between them carried an "Occult Signature". 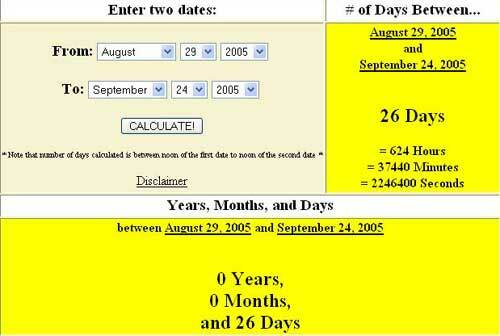 As you can see from this Calendar Calculator, the time lapse between the day Hurricane Katrina hit New Orleans (August 29) and the day Rita hit the Texas - Louisiana coast (September 24), was exactly 26 days. This number is very important, for it is 13x2, a number often seen as an occult signature. This number literally means that the Illuminati is carrying out "extreme rebellion against God's constituted authority" -- times two! Since so many people still believe only God can control the weather, the Illuminati is signaling to fellow occultists that they -- not God -- are creating and directing these storms (If you are not aware that scientists working for these globalist's can and do control the weather and are using it as a weapon against us, please read our articles and resources at our Weather Control - Weather Warfare Section). The fact that the time period between these two storms -- Katrina at the beginning, Rita at the end -- carries the occult signature of "13x2" also links them together as planned events. 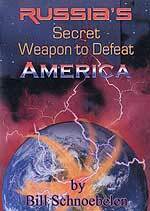 We may safely consider them as twin storms designed to produce one major effect on their plans to bring America to the point where the Constitution may be dissolved and martial law established, so that the world may speed quickly through the planned World War III. Remember what we have said for so very, very long now: in the Kingdom of Antichrist, there is no room whatsoever for true democracy or for the electing of any governments. When the final 10 rulers of the earth (NEWS1002 reveals that the world has already been divided into 10 super nations) stand together with Antichrist to hand him their collective power in fulfillment of Revelation 17:17, every nation on earth must be an absolute dictatorship. That is one change which must be made before Antichrist can appear on the world scene, for he shall rule over the greatest, most terrible dictatorship the world has ever seen. For this reason, the world is being subjected to the deliberately created global terrorist threat, why we have American forces spread around the globe and why the world is experiencing such upheaval on all the continents. Let us review other "Occult Signatures" of these hurricanes. Hurricane Rita -- made landfall on 9/24, at 3:30am, as a Category 3 hurricane -- This forms the very important occult number, "333". Read NEWS1778 to see how important "333" is to the practicing occultist. As you read NEWS1778 notice that "33" is also very mysterious, very powerful and can be used in conjunction with "333". Hurricane Ophelia -- While we are studying recent hurricanes, we feel it necessary to speak of the occult signature of Ophelia. After languishing off the coast of Florida for several days, Ophelia began traveling northward. The storm sat for several days off the coast of South Carolina, almost directly eastward of Charleston. Of course, Charleston is on the 33rd parallel. Thus, Ophelia contained the signature of "33" and "333", but also "777". Since the number "7" is the number of Perfection, and "777" is a triplication of that meaning, Hurricane Ophelia contained the signature which tells occultists throughout the world that the plan to produce "Messiah" is drawing close to perfect completion. We believe it likely that Hurricane Ophelia was the storm which officially allowed the US military to begin "Operation Ophelia", the plan whereby America is reduced to military patrol zones, manned by foreign troops, according to Martial Law. Even other news stories carry an occult signature. Consider this story appearing after Hurricane Rita passed through. 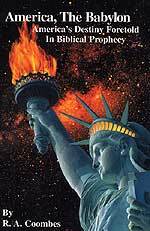 The fact of the matter is that we believe these many stories of the past four years which have reported numbers of "11", and "33", "666", and other numbers, are designed to alert occultists throughout the world, letting them know the truth, i.e., that these events are planned and are moving the world into the Kingdom of the Masonic Christ. God, on the other hand, is allowing these numbers to constantly appear in order to finally warn people of His coming judgments; after all, Satan's sacred occult numbers are God's warnings of judgments. * Ophelia to Rita = 9 days -- In the occult, the number "9" is a number of finality, or of completion. Just as the Illuminati Card Game foretold, massive natural storms are being used to batter down the Old World Order, with its comfortable freedoms and liberties. Controlling the chaos brought about by these storms, our Illuminist government is gradually wearing down our old system, awaiting the day they can knock it fully down, start their World War III and stage their beloved Masonic Christ. In the meantime, government is rapidly accumulating more power, more authority, at the expense of the authority of the 50 individual states. The motto of 33 degree Masonry is "Ordo Ab Chaos"--"order out of chaos." Masonic leaders in power deliberately create the chaos and then set in motion the order they desire -- the New World Order. Such a global system is now being set systematically in place -- and these natural disasters are most definitely playing their part, allowing the government to incrementally increase its dictatorial power. Soon, the final disaster will occur -- most probably the final FEMA "prediction" of a major quake along the San Andreas Fault. That natural disaster, coming after these hurricanes, will bring America into dictatorship. Will you be surprised? Occultists throughout the world will not be, for they will have been carefully following the numeric clues carefully left behind by these natural disasters, by the attacks in London on 7/7/2005, by the 9/11/2001 attacks, by President Bush ordering the Iraqi invasion on Day 555 after 9/11, and so many other instances where events were carried out "by the numbers". The only preparation is spiritual. Are you spiritually ready? Is your family? Are you adequately protecting your loved ones? This is the reason for this ministry, to enable you to first understand the peril facing you, and then help you develop strategies to warn and protect your loved ones. Once you have been thoroughly trained, you can also use your knowledge as a means to open the door of discussion with an unsaved person. I have been able to use it many times, and have seen people come to Jesus Christ as a result. These perilous times are also a time when we can reach many souls for Jesus Christ, making an eternal difference.